Cyber-based threats are now being recognized as a top economic risk. Companies are looking at reducing security risks as network complexity is growing multifold. Hence, application delivery network (ADN) aids in safeguarding information from malicious applications and content, while delivering secure, fast, and available applications across enterprises and regulating rising network management costs. Enterprises are adopting technologies such as Bring-Your-Own-Device (BYOD), in which the employees are able to share critical business data over their own smartphones, iPads, and laptops among others. Unfortunately, existing corporate networks are not designed to handle large application traffic. Thus, ADN is being used by network vendors in order to address these requirements, which offload application provisioning to a secure external network that offers dependable application delivery without load and latency. Application delivery networks market application can be used in avenues such as education, high technology, retail, government, banking, financial services, and insurance, and media and entertainment. 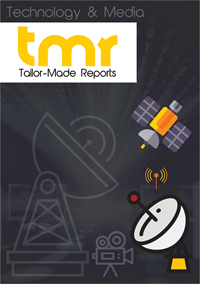 High-tech and media and entertainment verticals are anticipated to witness extensive growth of application delivery network (ADN) market over the forecast period. The media and entertainment segment is pegged to grow during the said period due to growing number of individual Internet consumers, while rising need for complexity in systems is expected to supplement the high technology segment. In the highly consolidated market, stiff competition between cellular and Internet service providers is projected to compel companies to improve their webbing systems. Exponential increase in mobile data traffic is expected to create lucrative avenues for established and new entrants as webbing solution providers need to install more of application data networks for being able to provide quality services to their customers. An pplication delivery network (ADN) market incorporates a broad arrangement of technologies which provide application security, visibility, acceleration, and availability. It can be said that an ADN is birthed after amalgamating application delivery controllers (ADC) with wide area network (WAN) optimization controllers (WOC). An ADC device is always installed at the data center’s end for the purpose of controlling and monitoring application performance and traffic distribution among servers or dislocated sites by geography. It is also termed as a content switch or web switch and deemed as a sophisticated traffic management technology. At the ADN’s division office section, caching techniques are put to practice in order to trim down the flow of bits over a network and direct the transmission control protocol (TCP) traffic. The technology prevailing in the global pplication delivery network (ADN) market is highly demanded to satisfy the need for improved application mobility and security in a disorganized firm. On a real time basis, the ADN technology can help to classify and prioritize applications as well as the user’s content and access. All the real-time based applications, both external and internal, in an organization can be accelerated with the help of ADNs. Besides these, the ADN technology assists in keeping a check on the rising expenses of network management. It can be very resourceful for delivering fast and secure applications across an organization, and also protect against malicious applications or content. Apart from the aforementioned stimulators of the global pplication delivery network (ADN) market, factors such as the need to promote business agility and adapt to cost-control measures are looked upon as key drivers. The adoption of ADN solutions by SMBs is on the higher side as they are capable of lowering delivery time and producing well-planned networks. These solutions are also required by organizations from various industries to avoid the intrusion of virus into critical data and loss of information. The demand for control and security is another factor that will drive the global market on the back of the need for efficient delivery of applications. Today, there are a number of companies that are challenged by threats from web-based applications to their crucial business data. The segmentation of the global pplication delivery network (ADN) market exhibits two closely related but distinctive parameters, viz. end-user industry and end user. On the basis of end-user industry, the market can be divided into three segments, which are cloud service providers, enterprises, and telecommunications providers. According to the end-user segmentation, the market can be categorized into SMBs and enterprises. By product type, the key segments include controllers, application gateways, and application security equipment, whereas by verticals, high-tech, media and entertainment, education, retail, banking, financial services, and insurance (BFSI), and government are the important segments. The last type of segmentation is geographic, which divides the market into segments such as North America, Europe, Asia Pacific, and Rest of the World. Among the other key players in the global pplication delivery network (ADN) market, Brocade, Hewlett-Packard (HP), Cisco Systems, Inc., Oracle Corporation, Array Networks, Dell, Inc., Juniper Networks, A10 Networks, and Citrix Systems, Inc. are prominent.